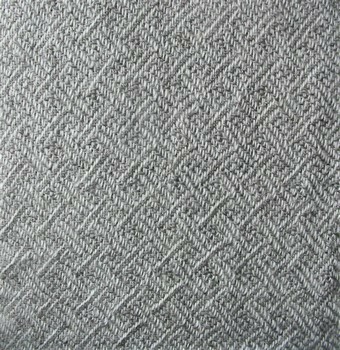 Our beautiful Cotswold wool blankets are made entirely of white and gray wool from our Cotswold sheep. We carefully selected fleeces with the best luster and "hand" to create these supple blankets that seem to glow from within. Like the breed itself, these blankets are both sturdy and attractive and are sure to provide years of pleasure. 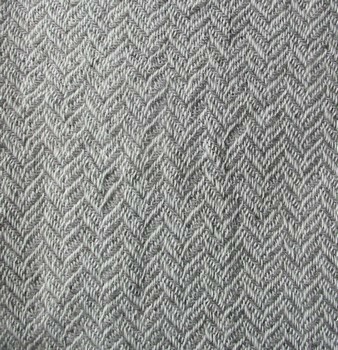 How are our blankets made? 1. Properly feed, house and manage the flock for a full year to grow a sound wool clip. 2. Hire a professional shearer to clip the animals without damaging them or the wool. 4. Ship fleece to a spinning mill where the wool is washed, picked, carded and spun to the weaver's specifications - in this case the yarn is a singles spun to be 1,600 yards per pound. 5. Ship the yarn to the weaver who samples it to assess how it will handle on the loom and confer with us to pick a pleasing pattern. 6. 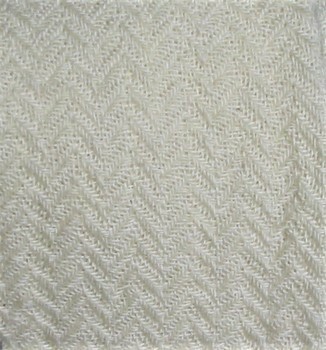 Dress the loom with the warp yarn (minimum 40 yards). 9. 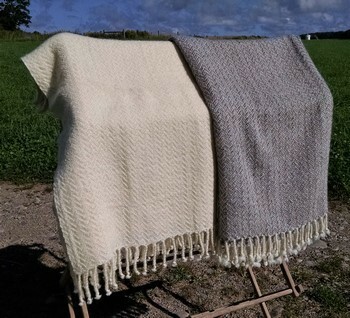 Finish each blanket by hand weave in loose threads, cut the blankets apart and make fringe of the warp ends, wash and block and dry and attach care label. 10. 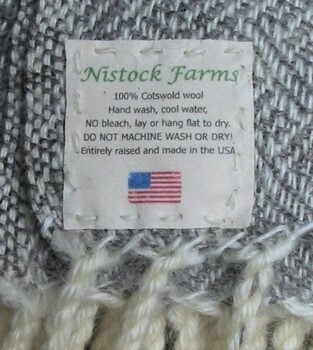 Proudly offer our Cotswold blankets - a year and a half in the making! Bringing a Cotswold wool blanket into your home does more than help us conserve this rare, heritage sheep breed. The creation of our blankets also involves other small US fiber businesses - the mill which processed the wool to yarn and the weaver who produced them - and your purchase impacts them, too. 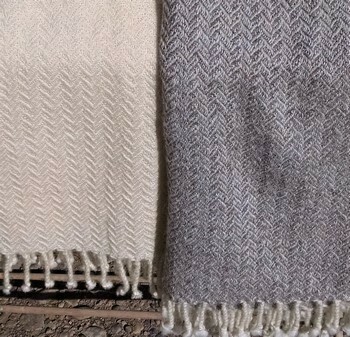 Cotswold wool blankets - from our farm to your home.